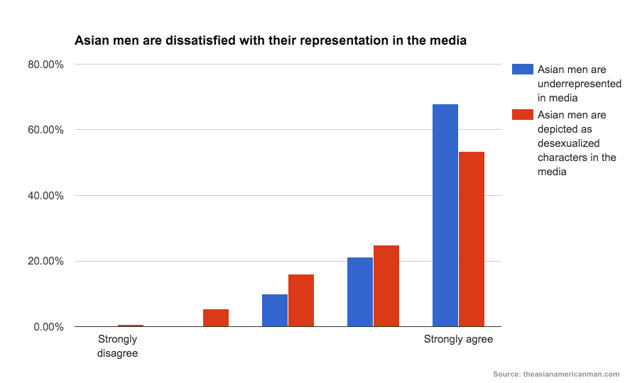 A new survey reveals just how much racial misconceptions can impact people at work. Jason Shen, who came from China to the United States at the age of 3, hadn’t thought very much about the role of race in his life while he was growing up outside of Boston in a community that included a number of Asian Americans. Later he attended Stanford, which also includes a substantial Asian-American population. 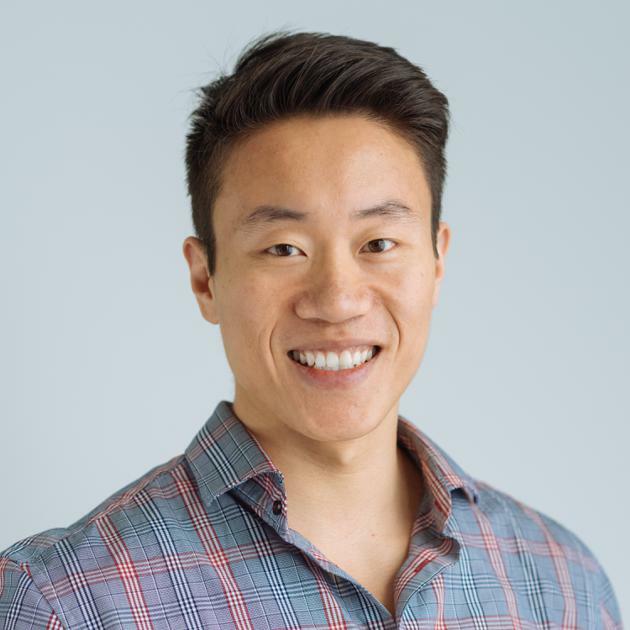 Shen, who is now a product manager at Etsy, said as he entered adulthood, he became aware of some of the prejudices Asian Americans face through personal experiences and conversations with friends. In one particular conversation, a friend from high school explained the challenges he faced as a Chinese American in the medical field. “He was just telling me about a number of situations at work and in his personal life where he feels that the fact that he’s Chinese makes him feel separate, like ‘other,’” Shen says. Brian Wang, CEO of Fitocracy, says that many people are simply unwilling to accept that Asians are affected by prejudice. “That’s an unfortunate lack of empathy because people will look at the statistics, they’ll look at how well Asian Americans in general supposedly do in the U.S., and that ‘model minority’ myth, and I think that colors a lot of the discussion,” he says. Wang knows Shen—they’re in the “ecosystem of tech start-up land,” Wang says—and he took the Asian American Man survey. Wang said that the survey topics, which included challenges in the dating scene and the workplace, and bullying at school, were familiar to him. “All of these questions are inescapable for Asian Americans,” Wang says. 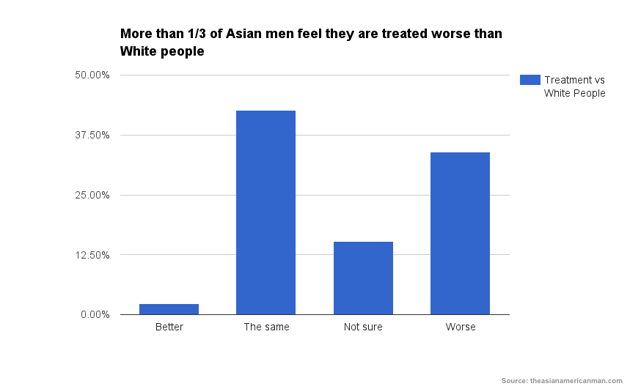 In the comments respondents left on the survey itself, Shen said he noticed a couple of trends: one, respondents who thought the overall premise “reeks of victimhood,” and two, respondents who were excited to extend the dialogue on racism to include Asian Americans. Some of the prejudice may stem from the perception of Asian success. 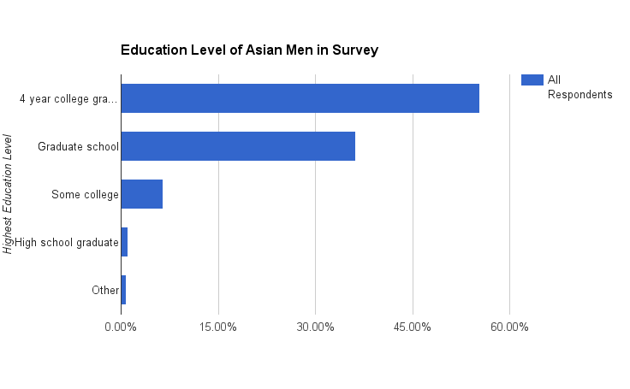 Asian Americans do outpace other American ethnic groups in terms of bachelor’s and master’s degrees, according to U.S. Census data. The overall picture, however, is more complex. Ascend, a nonprofit organization for Asian-American business professionals, released a study in May called "Hidden in Plain Sight: Asian American Leaders in Silicon Valley," which found that Asian Americans at five Silicon Valley tech companies represented a much larger portion of the professional ranks than the executive suite. The survey found that Asian Americans made up 27 percent of the professional workforce but less than 14 percent of executive positions. The study pegged a lack of awareness by employers, a need to change the behaviors of potential hirees, and an overall lack of role models to provide guidance on this issue. At first glance, it seems Asian Americans are entering the workforce in significant numbers, says Anna Mok, a partner at Deloitte who serves as executive vice president of Ascend. The superficial numbers lead people to believe that the “model minority” concept has validity. The “Hidden in Plain Sight” study, however, tells a different story: Asian-American professionals aren’t being promoted. Janet Wong, a coauthor of the report and board director for Enviva Partners, helps conduct training for companies and employees to help Asian Americans reach their career goals and help companies retain and promote Asian-American employees. Wong, an executive adviser at Ascend, worked her way up the ranks at KPMG, eventually becoming a partner, but only after she started to understand what it takes to get a promotion. Mok emphasizes that executives who ultimately have a major say in the trajectory of their employees’ careers need to understand the nuances of their talent pool. The entire focus, therefore, should not be changing the behaviors of individual Asian Americans. “We can’t move the needle until people that manage individuals really respect and understand those nuances and differences and actually appreciate it—not see it as a handicap but as a strength,” she says. Rather than blatant discrimination, report coauthors Denise Peck and Buck Gee say, this disparity is a result of implicit biases. They say that Asian Americans need to learn the leadership skills that corporate America values, such as adapting public speaking skills to fit their company, while the executives themselves need to learn how to best retain and promote Asian-American talent. Mary Min disagrees. She leads global development for SEWORKS, a mobile-security company, and believes these biases and discrimination often go hand in hand. Min does say her upbringing in an Asian-American household provided a major emphasis on respect, and she wants to hold on to that. The workplace, however, can misinterpret respect. Before moving to SEWORKS, Min spent about 17 years working in mobile gaming. Walking into a boardroom composed mostly of white men, she said her own insights were often dismissed—and sometimes would later be openly received if repeated by a male colleague. While many women in the workplace may be familiar with such situations, she said that being an Asian-American woman was a “double whammy.” She wouldn’t necessarily be penalized for speaking up, but she did notice that doing so surprised her male colleagues. The Asian American Man survey found that 62 percent of respondents believe that race plays a role in obstructing advancement in their careers. Only 4 percent, however, reported physical or verbal harassment at work.